Three bedroom 1,500 sq. ft. first floor only. Master bedroom, two full bathrooms, third bedroom or study, full laundry room, dining room, open living room, sunroom and two car garage. 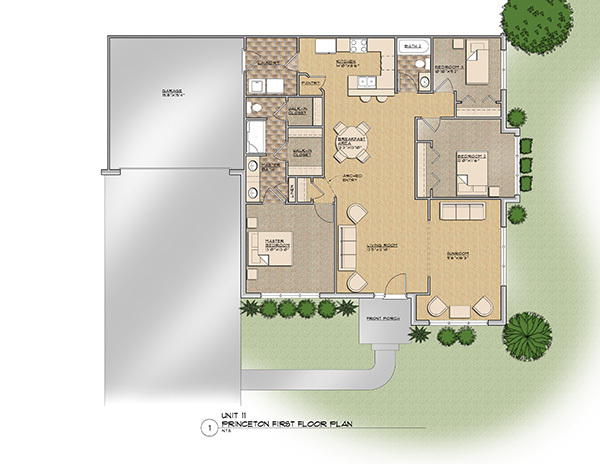 To view a larger floor plan of The Princeton, please select the floor plan image to the right.